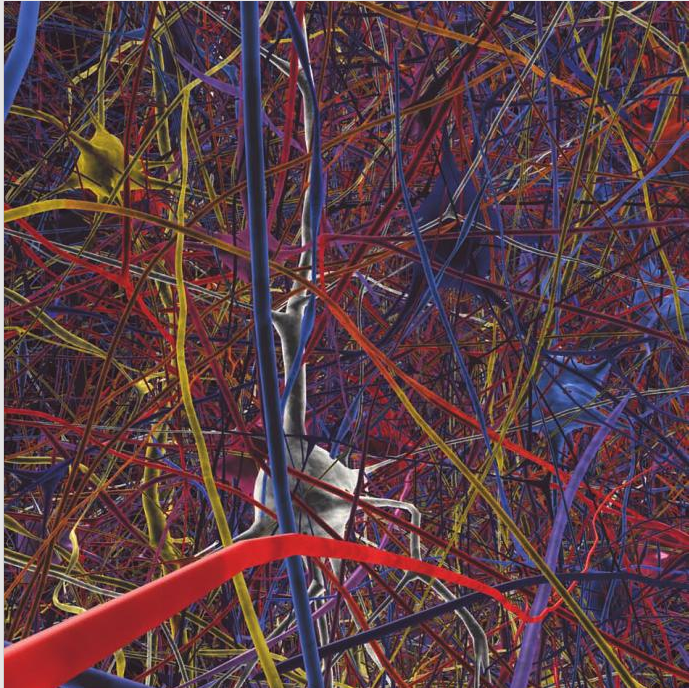 The human brain made a “first grand emergence” into greater complexity and functionality over 100,000 years ago, and continues to evolve and adapt to its surroundings. 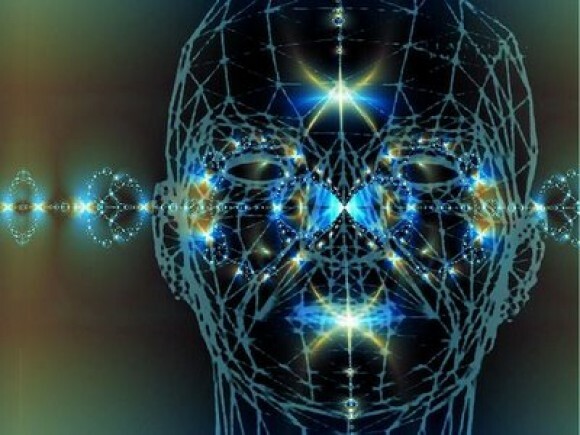 Modern humans have developed to the point that they are beginning to dream of another grand emergence, a transformation of modern human brains into “superbrains.” What will it take to accomplish that evolution? Just as there are evolutionary tradeoffs for physical traits, Hills says, there are tradeoffs for intelligence. A baby’s brain size is thought to be limited by, among other things, the size of the mother’s pelvis; bigger brains could mean more deaths in childbirth, and the pelvis can’t change substantially without changing the way we stand and walk. Very disappointing, if true. But is it possible that the authors overlooked something? After all, a few million years ago, chimpanzee psychologists and philosophers must have been thinking and saying much the same about the prospects for superior chimp brains, yes? The human brain has borrowed various hacks and kludges from brain and nerve evolution all the way back down the evolutionary tree. Some of these hacks and kludges are potentially limiting in terms of other, concurrent hacks and kludges that might otherwise be utilised. But there are potential hacks and kludges which might replace the limiting hacks, and some of these potential hacks might very well allow an entire train of further, enhancing hacks to follow. That is a possibility that most mainstream psychologists and philosophers fail to understand — generally because they have adopted groupthink as their modus operandi. This is a common failure of academics from the inbred world of the university culture. Perhaps that is why so many of the world-changing visionaries and billionaires of our day have been high school and college dropouts. They escaped before their brains could be gelded. There are a number of ways in which we might approach the human superbrain. Simple pharmacologic cognitive enhancers, such as stimulants, are not likely to provide the broad spectrum enhancement we will need. But there are a number of prosthetic enhancements for the human brain which would give us near quasi-superbrain status, over time. Certainly the things that humans can do when empowered by modern computing and telecommunications tools would astound most humans of past eras. But what we really want, are emotionally stable superbrains that continue working even if the power goes out or the batteries run down. For that, we will need genetic and epigenetic change. So how can we go about inducing these genetic changes without running into the problems that so many highly intelligent persons and breeding groups have run into? We remain concerned with an apparent global dysgenic trend, both in the advanced world, the developing world (BRICS etc), and in the perennially undeveloped world. That trend is likely to self-perpetuate, and probably accelerate across most of the world. But while that unfortunate process continues, we are allowed to work out methods of human enhancement as long as we do not attract too much attention from the politically correct hive mind. 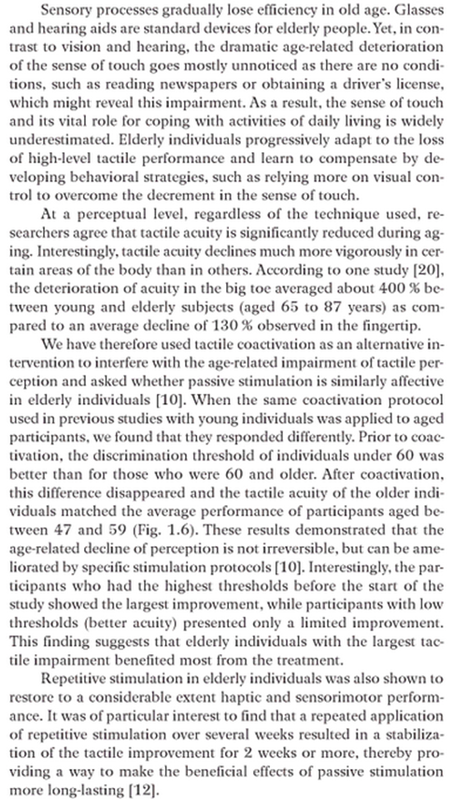 Interestingly, tactile coactivation may find an even more promising use in the early training of children — Dangerous Children included. This entry was posted in Childhood Development, Cognition, Human Brain and tagged Dangerous Child, evolution of human intelligence. Bookmark the permalink. There is some evidence, based on reaction times, that English IQ’s have declined by 15 points (one standard deviation) over the last 100 to 150 years. This would likely be true for all European populations. The suggested cause is the modern welfare state, which subsidizes breeding in low IQ populations and which provides incentives for high IQ populations to refrain from breeding. Anthropologists also have long noted the strong dysgenic effects of the first neolithic farming generations. If this in fact true, then you would have to undo not only the welfare state but the neolithic revolution itself–back to the paleolith. The only hope for an improved human brain is strong selection for high IQ and against low IQ. This means state-controlled breeding. Fat chance. Whatever evolutionary course humanity is fixed beyond our ability to change it. Just as with the Lynn-Flynn effect which suggests an average increase in IQ scores in the 20th century, research suggesting an overall decline in IQ (via reaction times) must be examined closely. One mistake that critics of the superbrain project make, is to assume that what is true for a majority of humans is true for all humans. In other words, if most human populations are undergoing dysgenic decline, they assume that all humans are doomed to undergo this decline. We can easily see from population genetics that different human breeding populations undergo divergent genetic change as long as interbreeding between the populations is limited. This is particularly true when different populations are experiencing different types and levels of environmental challenges. In other words, multiple parallel and simultaneous contradictory changes in population fitness are taking place around the world — dependent upon both environment and diverging genetic complement. It is not necessary to make every human brain into a superbrain. Most humans will not make the cut. While it may be true that evolution will eventually lead to a human superbrain – I probably won’t live long enough to see it. So, I am hoping the process is shortcutted by the intervention of accidental ‘Cosmic Ray’ overdose, exposure to toxic waste, bite by radioactive spider, etc. Simple. Clone the genes from these things. No I don’t believe they’re aliens. Before you say they’re just bound to look this way understand that these are not. 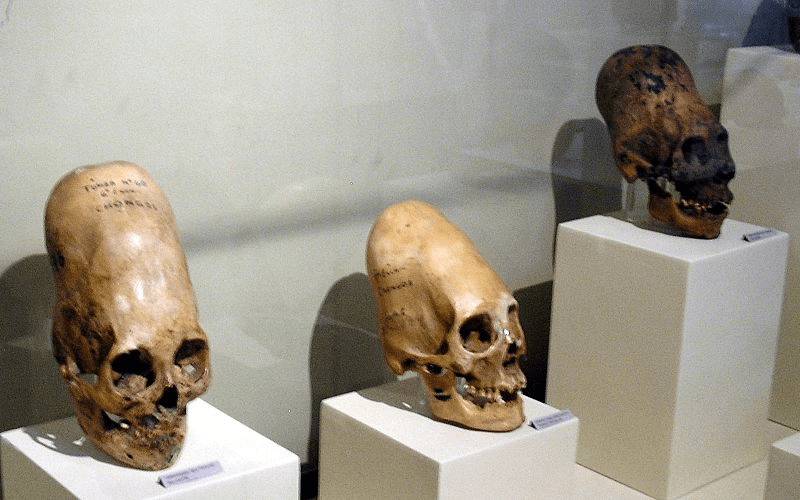 They have different cranial stitching from present day humans. They have large volume. 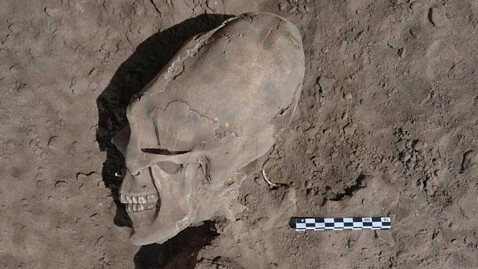 They also have mummified babies with the same head structure. No time for binding. Thing is where did they go?